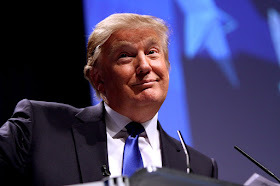 I have lived in greater Cincinnati area since the mid-1990s. I'm sad to report that I only recently learned about the Black Cincinnati Brigade. I wonder if the public schools in Cincinnati and its surrounding suburbs are sharing information about the Cincinnati Black Brigades with our young 'uns. Probably not. I hope that the young 'uns and the public school history teachers in Cincinnati read this blog post! The Cincinnati Black Brigade was the first Black unit with military purpose in the Civil War as described in this 34-page document about Cincinnati Black Brigade created in 1864. Following the success of Confederate forces in eastern Kentucky and General John Hunt Morgan 's raids there in 1862, Cincinnatians believed that Southern invasion was imminent. Anxious officials ordered Cincinnati citizens to form home guards, but Black men willing to volunteer were rebuffed when they attempted to join a defense force. Instead, police serving as provost guards rounded up many and marched them by bayonet to build fortifications in Kentucky. Reacting to the shameful treatment of the Blacks eager to support the Union, the commander of the Department of Ohio dispatched Major General Lewis Wallace to command the civilians and to liberate Black men forced into service. Judge William Martin Dickson, who favored enlisting Black soldiers in the Union Army, assumed command of the brigade, composed of 1,000 African American volunteers determined to fight to end slavery. From September 2-20, they cleared forests and built military roads, rifle pits, and fortifications. Receiving deserved praise for their labor, the unit disbanded when the Confederate forces no longer imperiled the city. 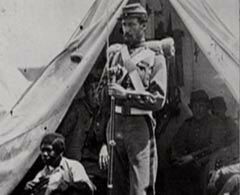 Members of the Cincinnati Black Brigade later fought with the 127th Ohio Voluntary Infantry and other Black regiments. 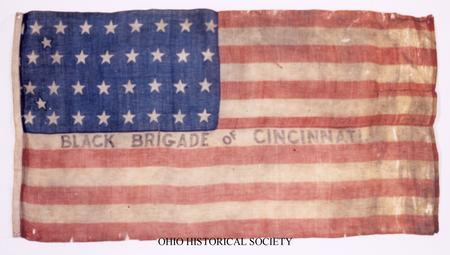 The Ohio Historical Society shared the original Cincinnati Black Brigade flag for display in the Civil War gallery of the America I AM: The African American Imprint exhibit at the Cincinnati Museum Center in 2010. This is an important Cincinnati story that needs to be shared with all residents in the greater Cincinnati area. Did you know that plans are underway for a monument in Riverfront Park to honor the Black Brigade? Did you already know about the Black Cincinnati Brigade? Migs Hackett, 15, researched, wrote and produced an award-winning documentary [see her 9-minute video] on the Black Brigade of Cincinnati. Anyhow, I hope that more of us talk about OURstory. Our young 'uns need to learn about Black history 365 days of the year ... not just in February! The James A. Ramage Civil War Museum in Fort Wright, KY tells the story of the Black Brigade of Cincinnati, On August 18-19, 2012, they are celebrating the 150th Anniversary of the Siege of Cincinnati and the Black Brigade. 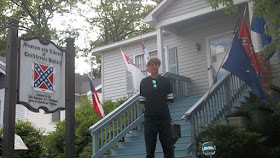 Go to www.fortwright.com and click on the Civil War museum tab. Bob - Thank you very much for giving us the current location of the exhibit re: the Black Brigade of Cincinnati.